A lot of media coverage on the royal wedding this week. It's only right that I do something related, like the economist. Catherine Elizabeth Middleton is 29 years old, while Prince William, Duke of Edinburgh is 28. Demographics and development can sometimes be tricky things to resolve together. ... and I'm (really, really) not one to speculate what's the optimal marriage age yet though. So I'll leave the analysis to anyone else who cares. 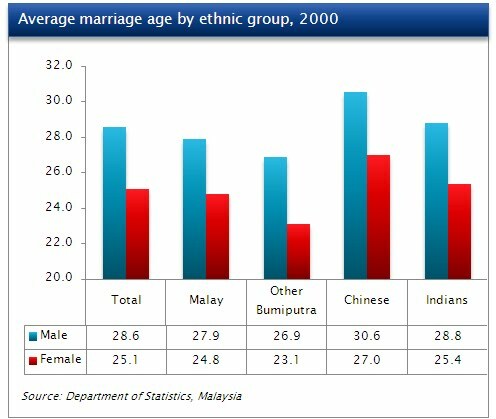 P/s: I must confess when i first saw that stat for Chinese, I initially thought it was current data....go figure.